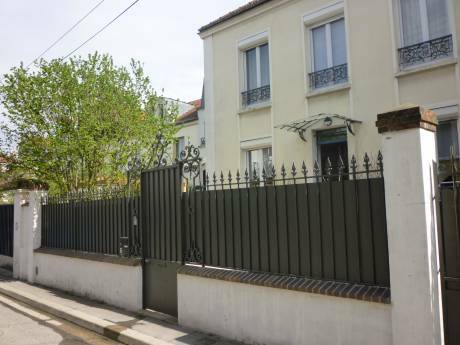 Calm and quiet recent house with a terrass of 47 m2, clean near Paris (5 km) 10 mn by train. There is a large kitchen near the living room. A little bedroom for two persons next to the living room, and a bathroom. Upstairs there is 4 bedrooms and a nice bathroom. We are a family of 6 persons with 4 childrens (3 daughters 16, 6, 4) and one little baby boy 18 months with two cats (travelling or not travelling). François my husband works in Packaging for luxuary product and I (Nacira)am a art plastic and handcraft teatcher. We like visiting muséum, and bicking. We have not done a home exchange before but are keen to try what sounds a great way to see another country as a resident - and allow someone to see yours. 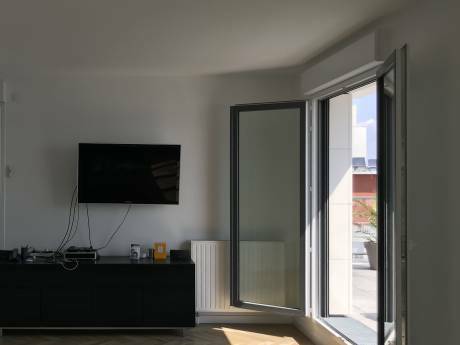 Located at 7 km from Paris, we are located in a calm area in a street mainly with houses. 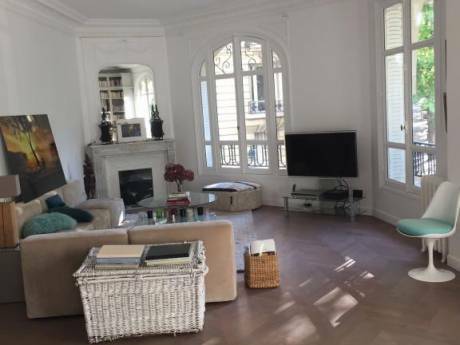 The location of this house offered a high possibility to visit Paris and to rest in a calm area after a long day shopping or visiting. All the windows offers a view on trees and vegetation.